Funding: Made possible by a grant from the City of Los Angeles, Department of Cultural Affairs, and the generous cooperation of Guitar Center. Art 4 U, Part 2: Intimate Performance Adventures will feature three of Los Angeles’ most accomplished, genre-bending musicians. Corey Marc Fogel, Rick Potts and Michael Vlatkovich have each created new works specifically designed for semi-private encounters in portable dressing rooms. Drop by and open three doors to a completely original experience of art. Corey Marc Fogel (b. 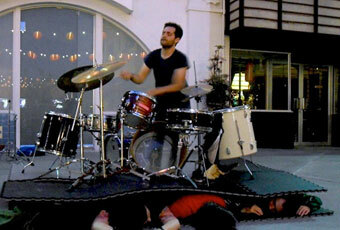 1977) is a drummer and performance artist currently living in Los Angeles, CA. Corey performs and composes in many rock, jazz, noise, folk, and chamber music capacities. His solo work is based around spontaneous encounters with sounds, objects, personalities, textiles, foods, spanning the disciplines of video, dance, and installation. Corey has been a member of groups like: Missincinatti, The Mae Shi, Gowns, Cryptacize, Barbez, Monstro, The Curtains, Learning Music, Nowcloud, Dominique Leone, 18 Squared. In addition to touring and recording nationally and abroad, Corey has presented his own work with Machine Project, LACMA, Human Resources, The Wulf, The Hammer Museum, and REDCAT. 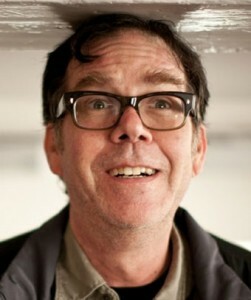 Rick Potts is an improviser and instrument maker who has been on the musical fringe of Los Angeles the last 35 years. A home-made sound scientist and founding member of the Los Angeles Free Music Society (L.A.F.M.S. ), Rick produces sounds which are unique, alarming, and funny with custom hinge-neck guitars, musical saws, synths, samplers and altered turntables. He has a knack for finding the ‘voice’ of ordinary household products and adding them to his musical vocabulary of sounds. Rick has recorded and performed with Dinosaurs with Horns, Solid Eye, Airway, Le Forte Four and others. Solo performances and collaborations with other experimental musicians have taken him around the U.S., Japan and Europe. 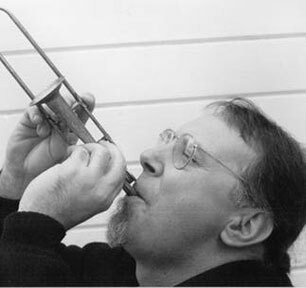 Michael Vlatkovich, trombonist, composer, and arranger, is one of the leading talents among Los Angeles improvisational players. Located on the West Coast since 1973, he is an emotionally charged performer, comfortable in a variety of jazz and world music styles. Vlatkovich has performed extensively in the United States, Canada, and Europe. 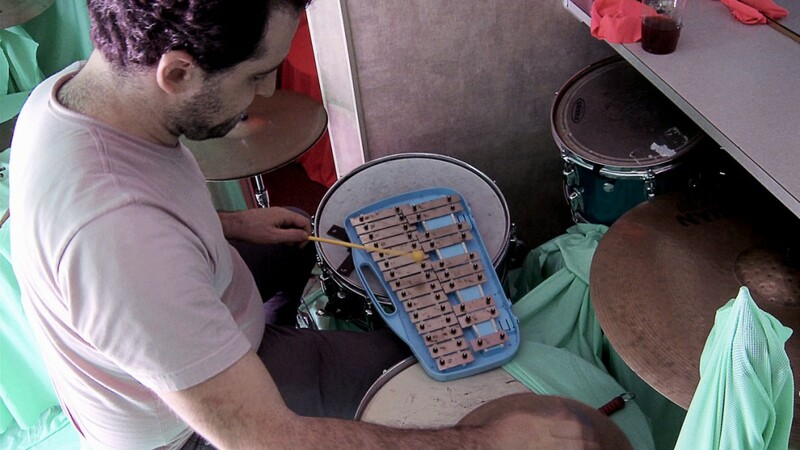 His improvisionally free music expresses raw power and beauty in a minimally structured format. In 1981, the composer formed Thankyou Records in order to document the truly unique forward thinking musical concepts and ideas of both himself and his music collaborators. (These recordings have received critical acclaim in music publications and periodicals throughout the United States and Europe. Many of them have been selected for the lists of ten best jazz recordings. NewTown strives to make people aware of innovative visual, media and performing arts as accessible, enjoyable necessities in an enlightened society. NewTown is a laboratory for new and unusual presentational formats. These formats best fulfill our goals: to bring new audiences to today’s cutting-edge art, while providing artists with unique and challenging contexts in which to make new art. As an organization run by working artists, NewTown is also committed to advancing regional alternative arts through advocacy for funding, access to venues and, most importantly, payment to artists. * Been a leading advocate for small to mid-size, grassroots arts organizations.